I never noticed that when you invoke Apple’s Dictionary function in Mac OS X (Command-Control-D while hovering your cursor over a word), that there are Apple Music and Twitter options in the navigation. Why is Twitter part of this line up? 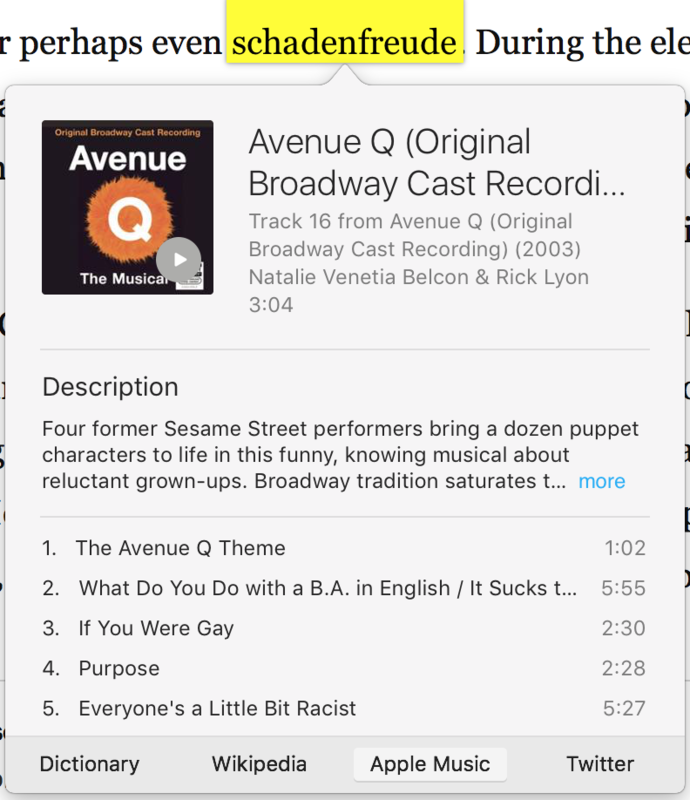 I get Apple Music, but even in this screenshot, theÂ Apple Music result is confusing to say the least.